Even though we should celebrate love every day, Valentine’s Day is pretty much the official international day for Love & Friendship. 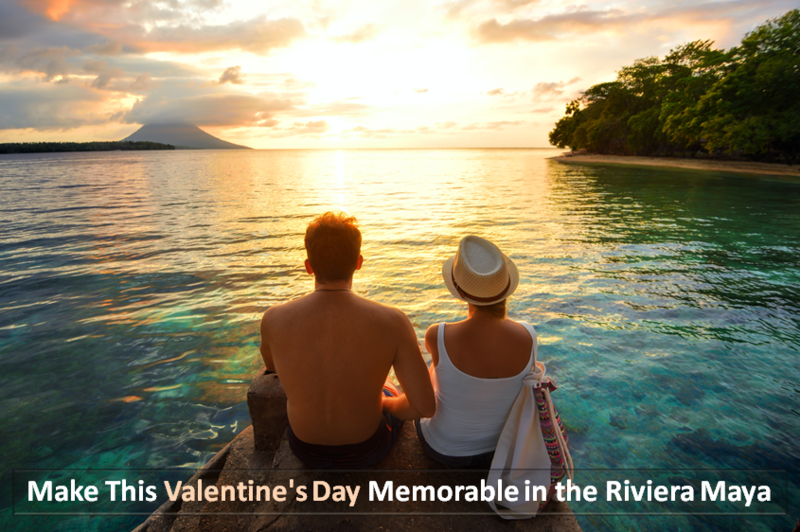 If you are planning to spend this special day with your significant other on board your own private yacht rental in Riviera Maya, there are plentiful romantic options to celebrate love with your valentine. Start the day with a leisurely stroll on the beach – The perfect day begins with a wonderful stroll on the beach hand in hand with your significant other. Watch the first rays of sunshine over the Caribbean. See and feel the morning breeze. In addition to the natural spectacle, it is an excellent way to do some exercise. Nothing compares to savoring the first-morning coffee while gazing into your beloved’s eyes. This way you can delight in each other’s company and talk about what you would like to do on this special day. Relax and rejuvenate in romance – Get yourself pampered with a relaxing massage on the beach to set the romantic and peaceful mood. A Riviera Maya yacht rental provides its clients with this delicious treatment while on board. It is a delight for the body and mind to be in the hands of specialists listening to the calming sounds of the sea. The tender and loving care will surely renew your energies. A perfect way to relax your body so that you can set your mood up for a wonderful day. After the breakfast explore the Mayan ruins – There is something magical about discovering and exploring the famous Mayan Ruins. A considerable amount of tourists flock each day to Tulum, Chichen Itza, Coba and Uxmal. A favorite off the beaten path is Muyil which is located south of Tulum. The moss-covered temple in the heart of jungle is a spectacular sight to behold. The view is glorious and something that you will remember forever. Take a plunge in the water – The great thing about diving in the Riviera Maya is that there is such an amazing variety of dive sites and cool things to see. From the largest barrier reef in the Western Hemisphere to shipwrecks, and even an underwater museum, there is no shortage of amazing options for scuba divers and snorkelers. The increasingly popular places to snorkel or dive on the Yucatán Peninsula is in its cenotes in Riviera Maya. Set sail on board a yacht rental to Riviera Maya and enjoy this unique phenomenon. In the evening enjoy a sunset cruise – Experience the sunset like never before on Riviera Maya's sunset sailing excursion! On the azure blue waters, set sail along the stunning coastline of this Mexican destination aboard a luxurious yacht rental in Riviera Maya while Mother Nature prepares for her nightly performance. Relax with your loved one, cocktail in hand and breeze in your hair, and enjoy as the crimson sun descends toward the lush jungle backdrop as purples, reds, pinks and blues take center stage. In the night enjoy a scrumptious dinner – Under the bright light of the stars, treat your taste buds with scrumptious street tacos in Mexico as they use fresh ingredients and are cooked right in front of you. Your private yacht charter in Riviera Maya appoints a professional chef who will prepare a scrumptious array of foods upon your request. The Riviera Maya also offers the best ending for a romantic Valentine’s date: the starred sky above the most beautiful beaches in the world! Could you imagine a more romantic setting than by sailing on the turquoise blue waters on board your own private yacht rental in Riviera Maya as an expression of your love?